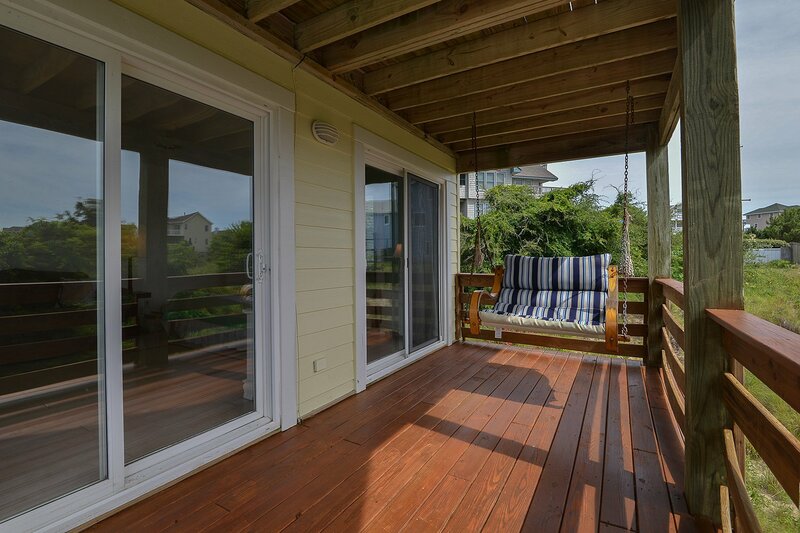 Located on the Oceanside, your family will love the convenience of being within easy walking distance of the beach in Duck. 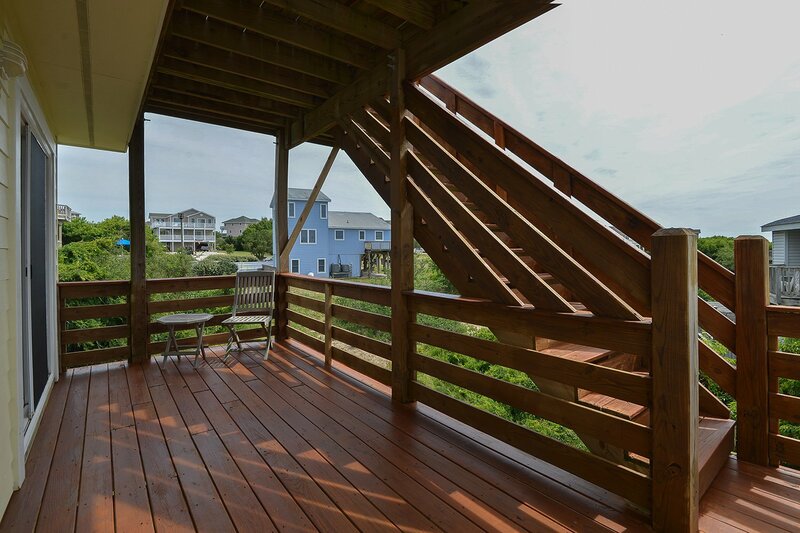 The Beach is just 300 yards away w/ direct access & a sound access is within close proximity. The Village of Duck offers a wide range of shopping & dining establishments as well entertainment for the whole family. 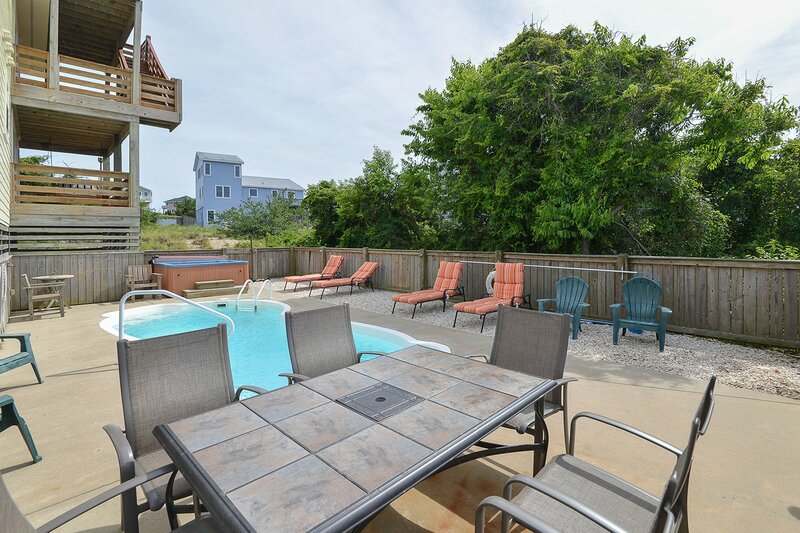 Warm & inviting, this home provides Private Swimming Pool as well as wonderful Sunset Views over the sound. 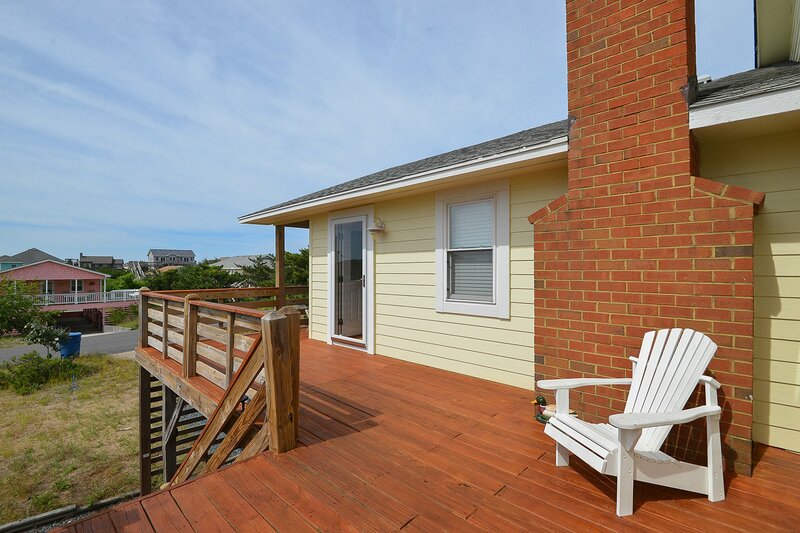 A great choice for your Outer Banks vacation. Ground Level: Parking for 4 Cars, Steps to Covered Entry, Laundry Area, Private Swimming Pool, Hot Tub, Enclosed Outside Shower, & Charcoal Grill. Mid Level: Living/Dining/Kitchen Area, Large Flat Panel TV, DVD, Gas Fireplace, 4 Bedrooms (2 Master Suites w/Kings, Flat Panel TV w/DVD, & Full Baths, 1 w/2 Singles & Flat Panel TV w/DVD, & 1 w/Duo Bunk & Flat Panel TV w/DVD), Full Bath, 2 Covered Decks, & Sun Deck w/Deck Furniture. 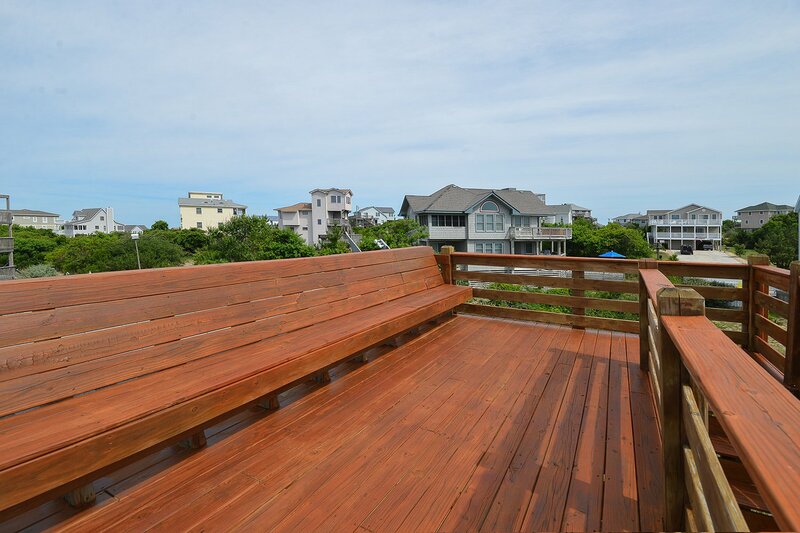 Top Level: Master Suite w/King, Flat Panel TV, Full Bath, Covered Deck, & Observation Deck w/Deck Furniture. 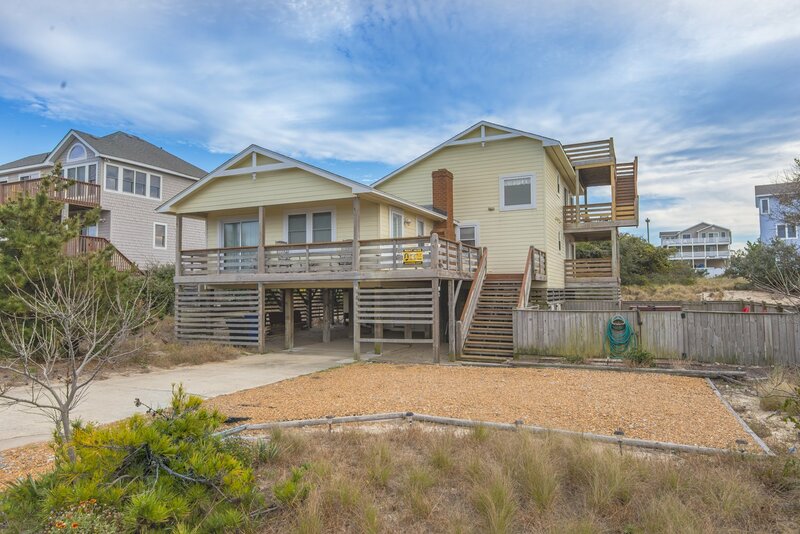 Features include: C/AC & Heat, Washer/Dryer, Dishwasher, Microwave, 4 Phones, 6 TVs, DVDs, Wireless Internet, Ceiling Fans, Baby Equipment (Baby Gate & Pac-N-Play), Deck & Pool Furniture, Beach Chairs, & Sand Toys. Two Mature Dogs Allowed w/Fees. This is a Non-Smoking Unit. The owners had definitely made an effort to provide everything for the home. We were impressed with the layout, the items for the beach, the pool furniture, the decor. The location was great with easy access to the beach. The home was spacious for our family and dog. The pool and hot tub were both great! Since we were traveling with an infant, it was nice to find rocking chairs in the home!! We had a fabulous vacation here. I don't know how it could have been better. Being able to bring our pets and having a private pool, hot tub and 3 king suites each with their own private bath was perfect. The kitchen was easy to work in and the fridge was huge! 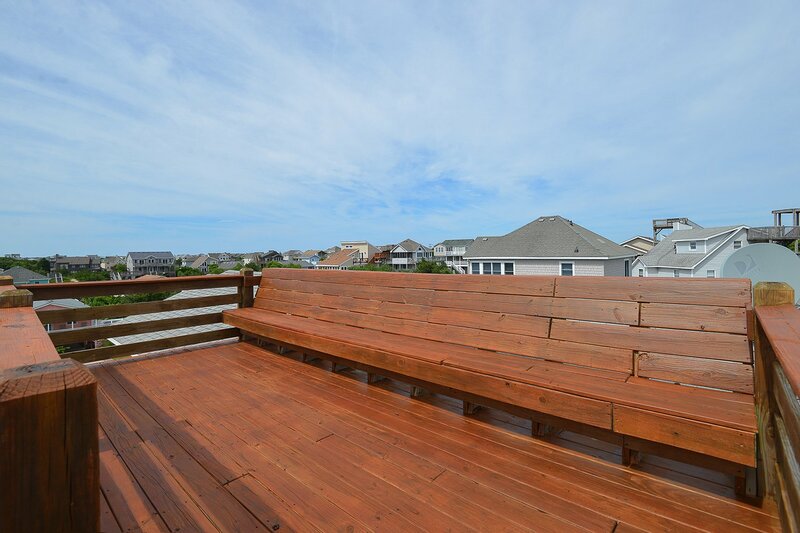 We also loved the decks and the porch swing. We couldn't believe there were beach chairs and umbrellas as well as a good assortment of games and paperback books to choose from. Cannot recommend Joe Lamb Jr. & Associates or All Duck'ed Out highly enough. Thanks again! I just want you to know that your home is beautiful, and with the updates, you exceeded our expectations. I promise we will be back. Our family just enjoyed a great week at All Duck'd Out. 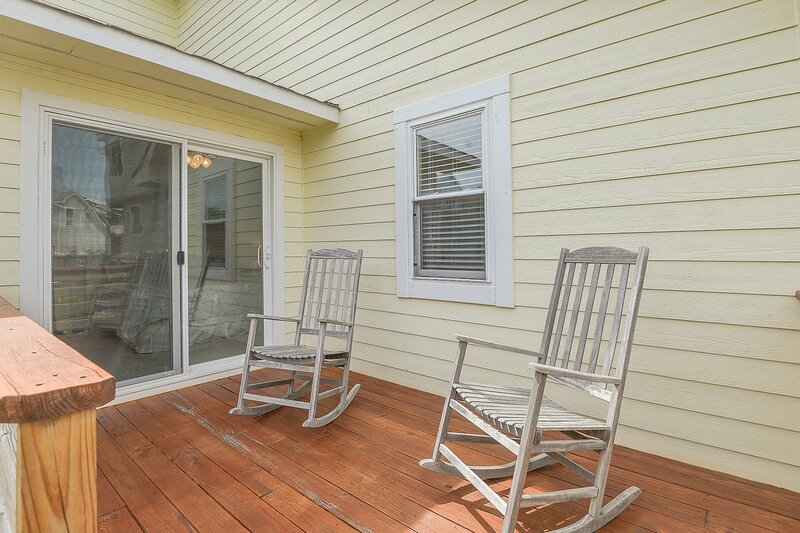 The house is beautifully furnished and has a very well equipped kitchen. There is space to spread out and lots of outdoor space for relaxing and reading. 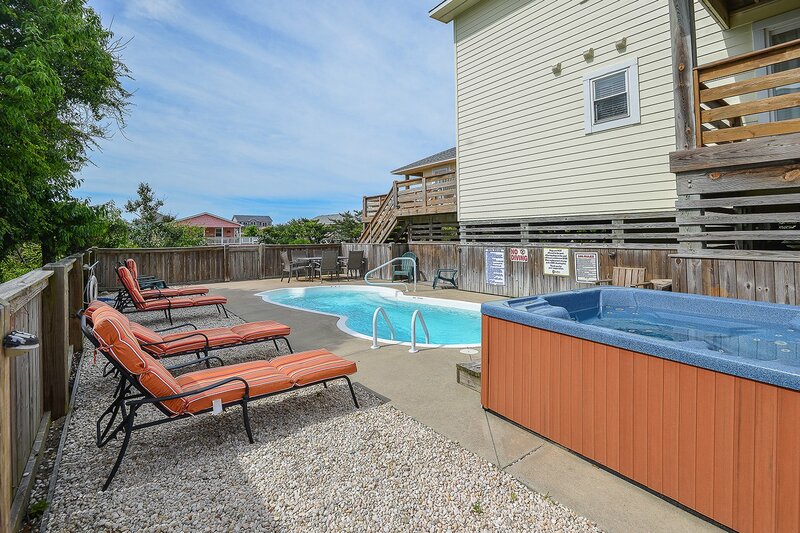 The pool and hot tub is a wonderful addition for a vacation. 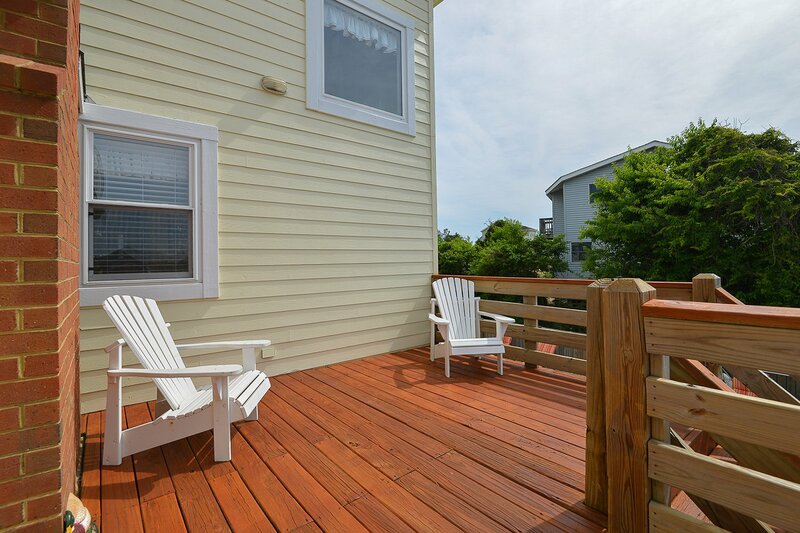 Their is a short walk to the beach in a very quiet neighborhood close to lots of things to do in Duck. This is a very nice home. 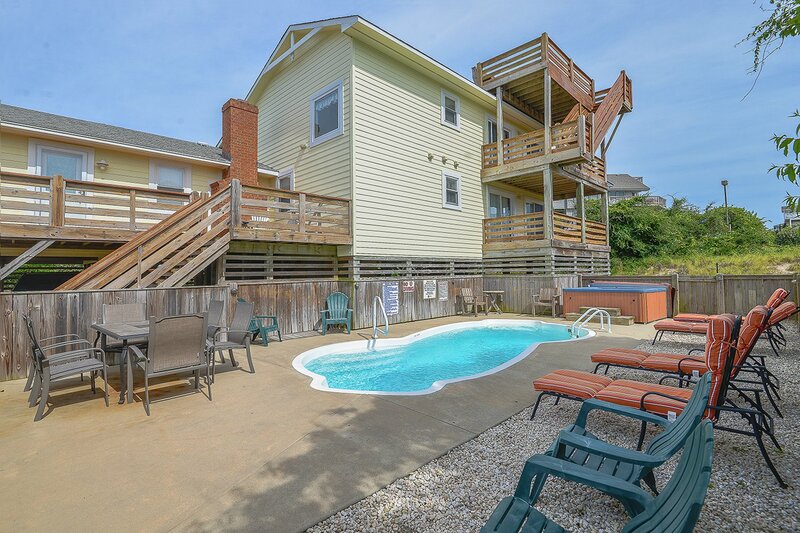 With the pool and the hot tub, and the updated well stocked kitchen, it's great for smaller families or groups. 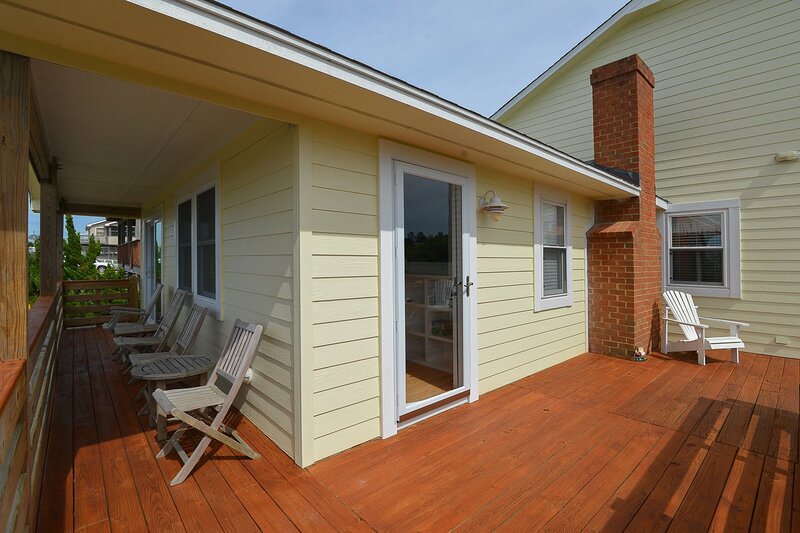 This is one of the nicer homes on OBX I've seen that accepts pets as well. It is also well stocked with beach equipment and toys, chairs and umbrellas and even a bike. 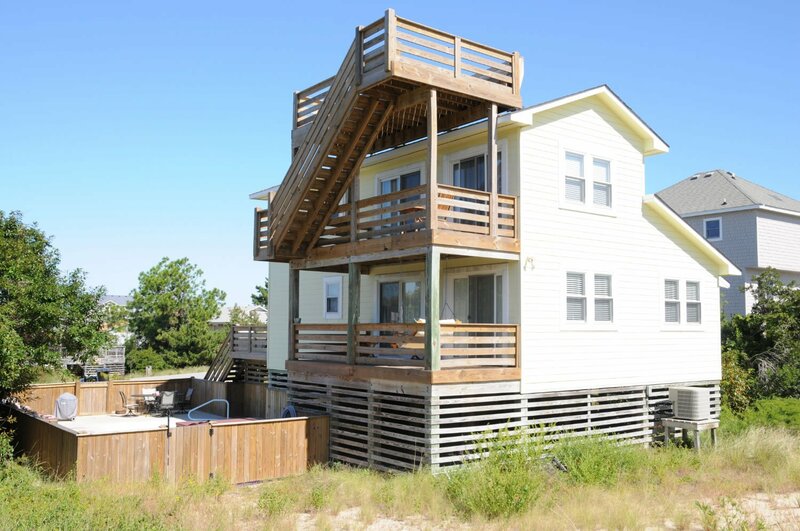 House is conveniently located near beach. Bedrooms are spacious. This is a very nice home, spacious and clean. 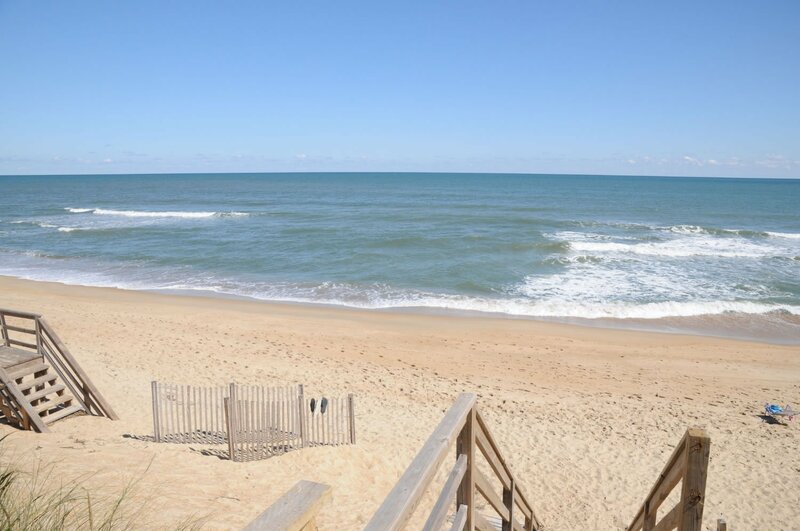 The walk to the beach is doable. The kitchen was well supplied and it was nice having the use of a bike and sand cart, as well as a washer and dryer. The pool area was well maintained and relaxing as they had three comfy lounge chairs. The house was well-maintained and furnished. Overall, we enjoyed the home and the pool. You will love this place! 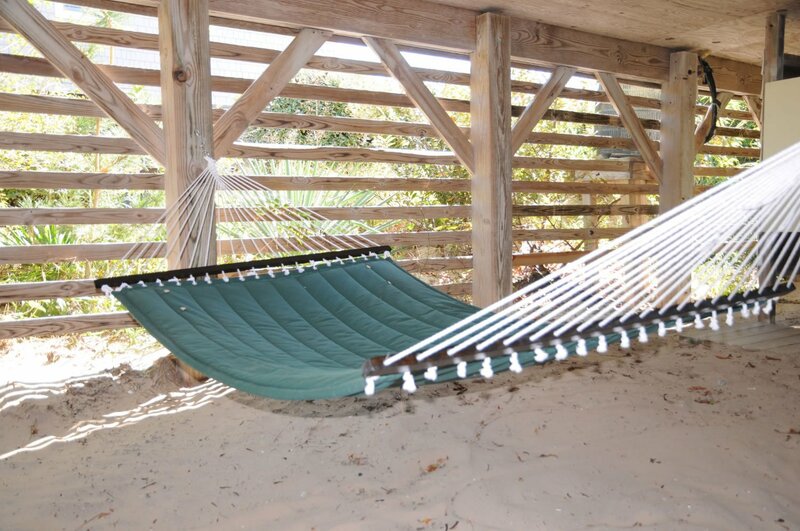 It has everything you need for a great vacation. 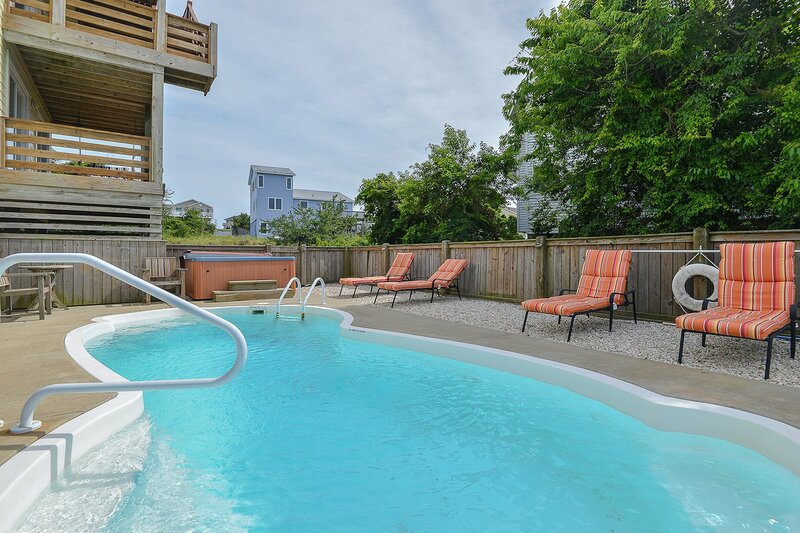 Not far from the beach and the pool and hot tub are clean and beautiful. Well stocked with quality items, there won't be a thing you need.We cooked most of our meals in and they even have a grill for making breakfast food. Lots of bathrooms and lots of TV's make it very easy to live in. Each family had their own master suite which worked out great for us.